Zuckerberg at 19: "I did a lot of stupid things"
Speaking on stage at D8, Facebook CEO Mark Zuckerberg had to address the issue of whether he was deserving of the backlash surrounding his company’s actions. His comments speak volumes, but don’t really answer the question. The question, of course, is whether the “stupid things” in question will continue to come back to haunt him. When you’re now running a service with 500 million people, your earlier actions often times will weigh heavily on how people approach you. 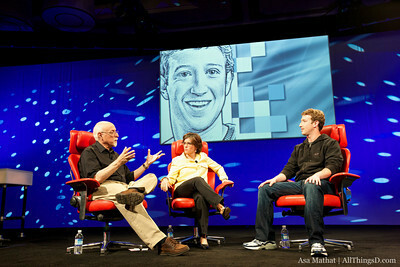 Read next: Zuckerberg at D8: "Our biggest competitor is someone we haven't heard of"